Nevis is very peaceful and not very touristy. And that's the beauty of it. If you want to have a quiet, contemplative time, it is entirely possible. On the other hand, there are lots of things to do for a more active vacation. Oualie Beach hotel reception desk has all the contact information. Click here to see our Guest Book for some of the activities our guests enjoyed. 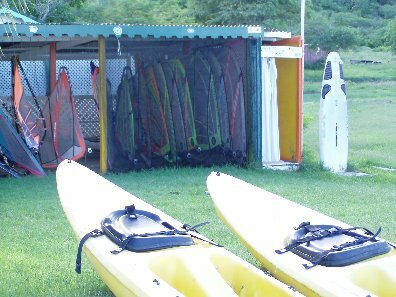 Nevis Watersports on the beach below offers sea kayaking, windsurfing, and deep sea fishing. 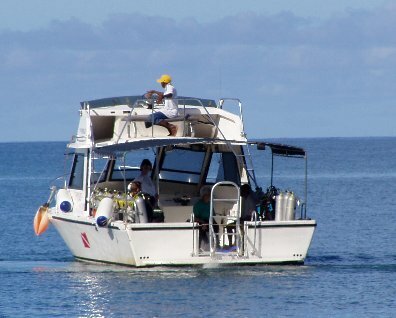 Scuba Safaris (info@divenevis.com, 869-469-9518), run by Ellis Chaderton, also at Oualie Beach, offers scuba diving to experienced divers as well as beginners. 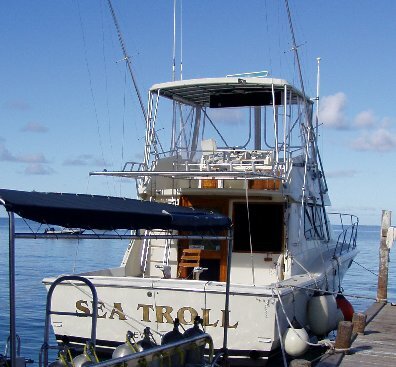 Yacht charters are available from Nevis Yacht Charters. 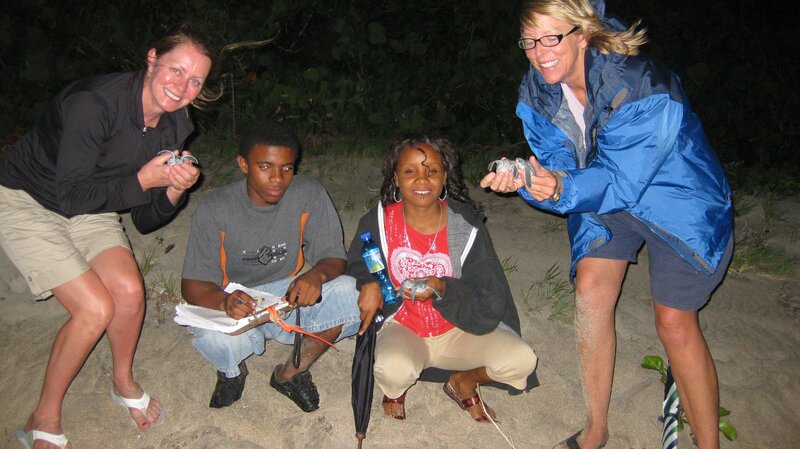 Help the Nevis Turtle Group volunteers (www.nevisturtlegroup.org) track sea turtle nests and, if you are lucky, see turtles lay eggs. Contact Lemuel "Lemmy" Pemberton, Department of Fisheries, (869) 469-5521 ext 2161, nevisturtle@yahoo.co.uk. 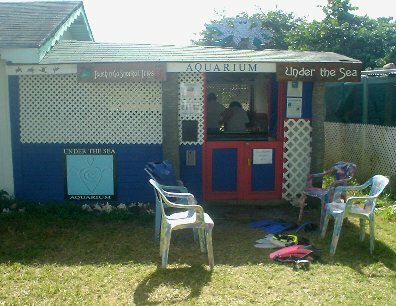 Under The Sea (869-469-1291 or 869-662-9291, cell), run by Barbara Whitman, a marine biologist, has a lovely aquarium on Oualie Beach. They offer Touch and Go snorkeling tours and snorkeling lessons. Mountain bike rentals are available at the bike shop at Oualie. The friendly captain Lennox Wallace sails his catamaran Caona almost daily from Oualie Beach to the shores of St. Kitts for swimming, snorkeling, or just enjoying rum punch or beer and the sunset. The Four Seasons hotel has a world-class 18-hole, par 72, 6,766-yard golf course designed by Robert Trent Jones Jr. They also have ten lighted tennis courts. Nevis Equestrian Center in nearby Cades Bay (a 20-minute walk) offers horseback riding. Many hotels are renovated plantations that can be fun to visit. A ride around the island on the main road is 25 miles and takes an hour. Nevis offers many beautiful hikes, including the ones along the Upper Round Trail, to "The Source," and to Nevis Peak (3,232 ft). The latter is hard to find, though, without a guide. The Botanical Garden of Nevis still needs some time to mature. But the Golden Rock Plantation Inn has a pleasant "nature walk." 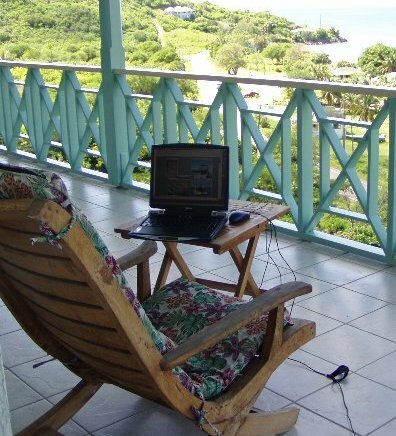 It used to be the place to see vervet monkeys, but now you are likely to see them from the veranda or on the road to the beach. 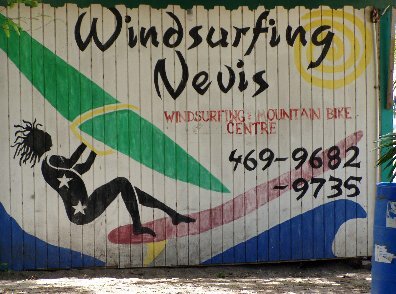 Those interested in the island's past may enjoy visiting the Museum of Nevis History and the Nelson Museum. Nelson arrived here to enforce the Navigation Acts and eventually married Fanny Nisbet here. Nevis is also the place of birth of Alexander Hamilton. Cafe des Arts in Charlestown, next to the Museum of Nevis History, has a pleasant gallery and is a cool spot to have a glass of lemonade. Nightlife on Nevis is low-key. Eddy's in Charlestown has a DJ on Wednesdays; Nisbet Plantation has a buffet dinner and a live band and dancing on Thursdays; Oualie Beach Hotel has a local band on Fridays and a steel drummer for Sunday brunch; and Four Seasons has a Calypso band every day. You can always ask around to find out what else is going on.